On this page are a list of events Hilary's Henna is attending as well as any press. Hawaiian inspired patterns for body art! Over 25 pages of matching hands, matching feet and even a few loose motif's! Inspired by the lush and tropical Hawaiian islands, as well as her own wedding there, Hilary Manning has created a book that will do double or triple duty! These graceful patterns look wonderful on their own, but also allow for artistic interpretation with areas to shade in, or further decorate. 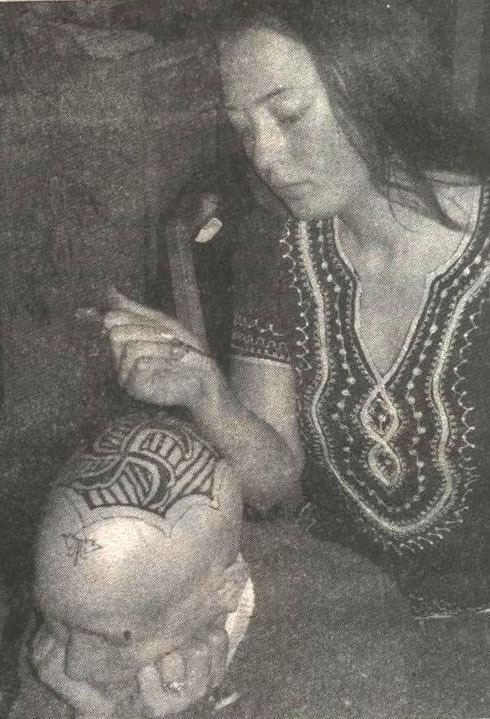 The art of henna has been on the mind of Willits' Hilary Manning since she was 12 years old and introduced to the natural body art at a friend's house during a sleepover party. 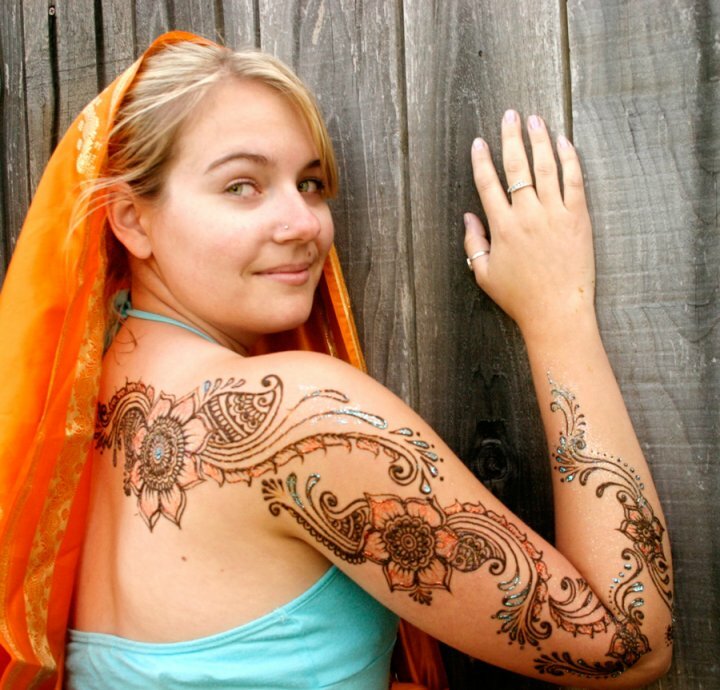 Henna is a natural, plant-based dye that originated in the Middle East and can be used to temporarily adorn the body. Henna has been used for this purpose for some 5,000 years. Hilary Manning was mentioned in a article in the Willits News about Jan Hinker a friend and volunteer of local nonprofits benefiting those in need. 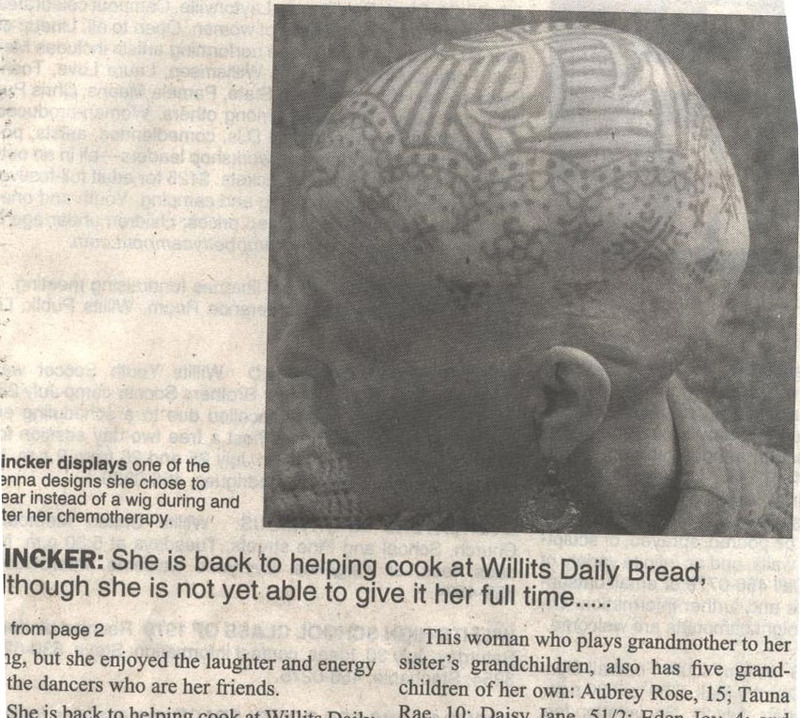 As Jan was undergoing chemo treatments she opted to not wear a wig and don henna instead--as a result she received much support from the community and other cancer patients. Hilary loved working with Jan and helped her to choose a healing pattern from Rajasthan.